This page was added on 03/02/2011. Coming down from top of picture, going from left to right (south to north! 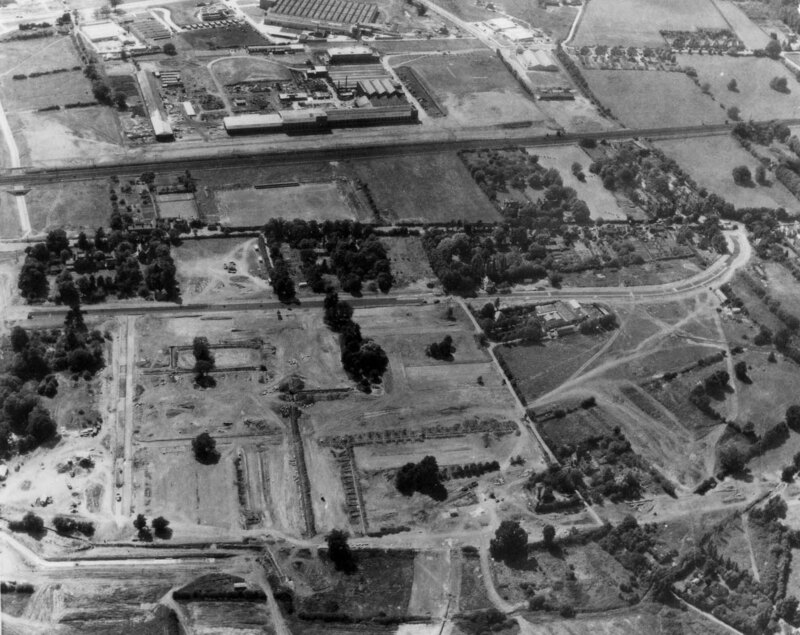 ), GW King’s factory, railway, Great North Road (later Lytton Way), Danestrete, Town Square, then what would be Queensway. Picture taken from an easterly aspect, looking west.